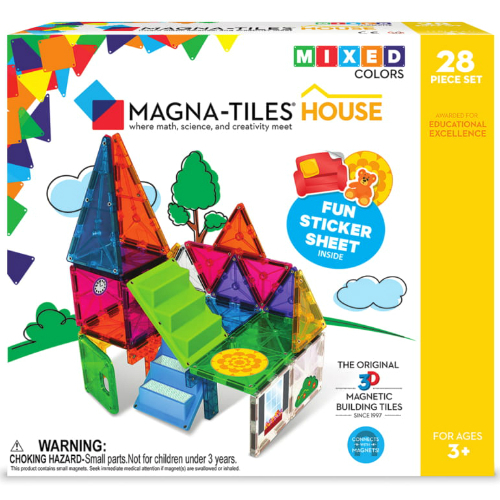 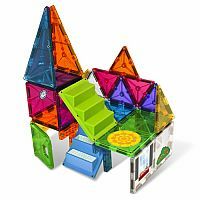 Let your child be the architect of their own world with the Magna-Tiles House set. These translucent 3D Magna-Tiles easily connect for hours of open-ended play. 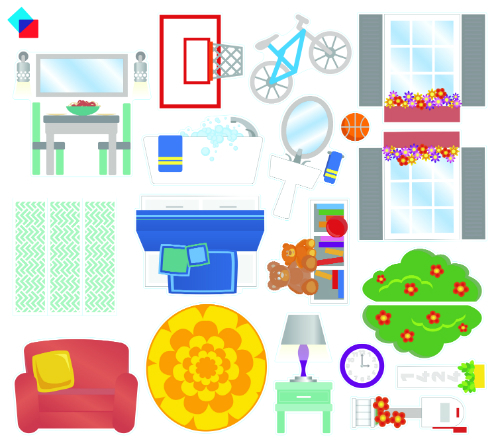 With reusable silicon stickers, from furniture to window boxes to shrubs, there are endless opportunities as your children build a world for their dolls, action figures and cars. 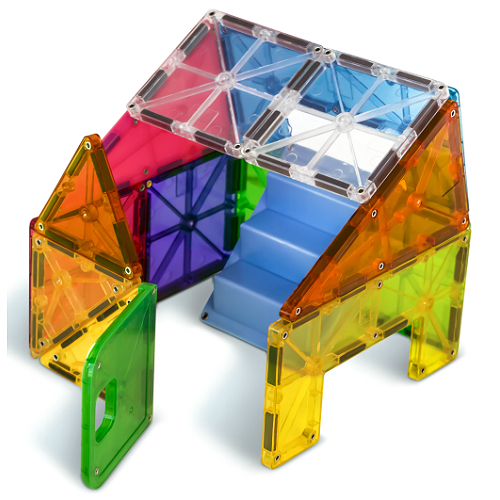 This is the set to add to your collection to watch skills develop for young architects! 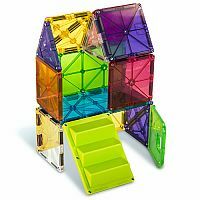 Includes 28 colorful shapes including 2 rectangles, 6 squares, 13 triangles, 3 “C” shapes, 2 “T” shapes, 2 staircases and 1 door. Measures approximately: 11.00 x 10.00 x 2.50 inches..